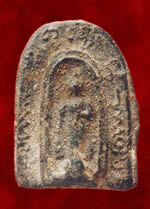 Here is a Phra Phijit Phong Dam which was created by Somdet Pra Sangkarat (Pae) in B.E.2458. 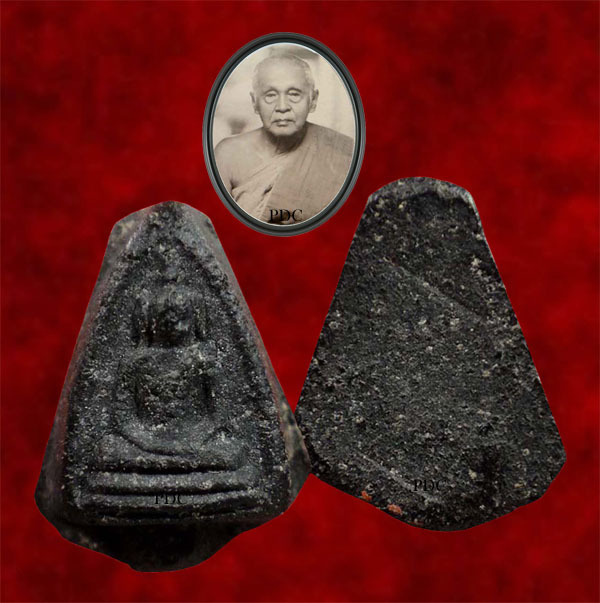 Phaya Supagone Banasan had requested Somdet Pra Sangkarat (Pae) to create these Phra Phijit Phong Dam amulets. 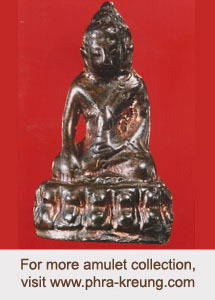 Somdet Pra Sangkarat (Pae) had used the old Phong BaiLan to mix with the Phong Puthakhun which had refine by himself to create these amulets. Phra Phijit Phong Dam was created together in the ceremony of making Takrut to offer to the Thai King Rama VI, also known as Mongkutklao or King Vajiravudh. 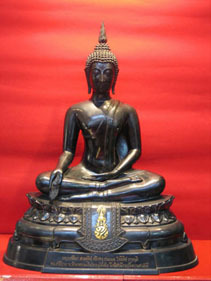 This piece shown here is a 2 tier style which is considered the Phim Niyom of Phra Phijit Phong Dam. It has a thickness of more than 4mm which is very hard to come across. As seen from the photo shown,this piece of Phra Phijit Phong Dam can be considered as a most beautiful piece among it.